Get ready for the biggest camera SALE and have fun with Transcend! Visit the PerfectShot at SM City North Edsa (Upper Ground Floor, Centermall near SM Dept. Store) on November 22 to 28, 2018 and enjoy awesome freebies and lucky draw presented by Transcend. Transcend will be showcasing its range of storage and multimedia products, including ruggedized external hard drive StoreJet 25M3, DrivePro 550 Dashcam, and 500S & 300S series of SD and microSD cards. 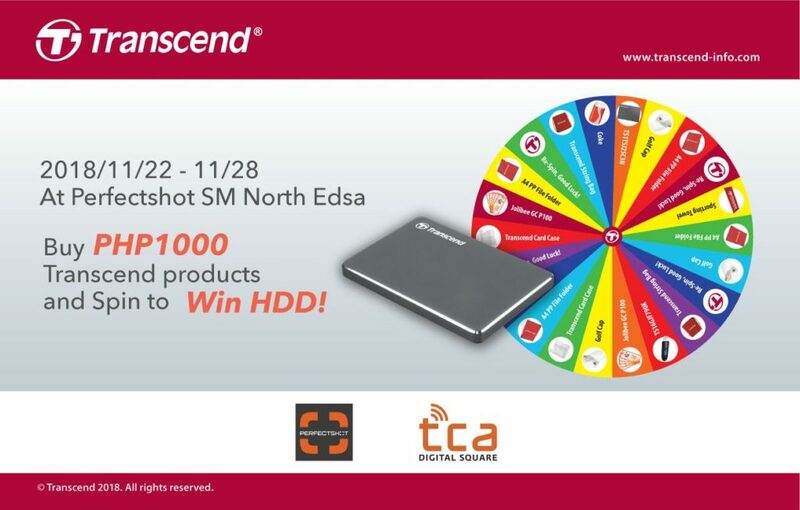 Customers who purchase Transcend products higher than value PHP1000 will get a chance to spin the Prize Wheel to win for a StoreJet 25C3N HDD. On top of that, Transcend will offer free coke to fans who like Transcend PH FB at the Expo. 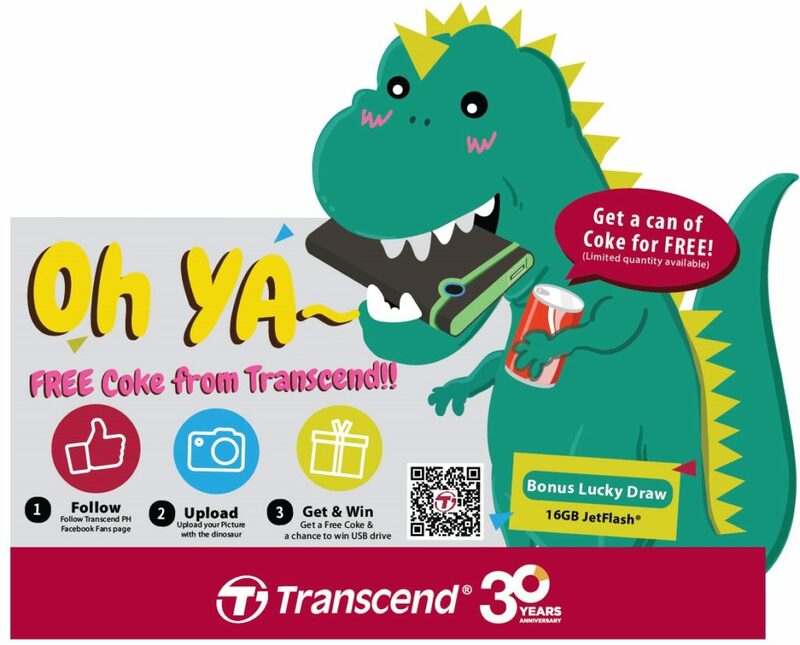 Just take a photo with Dinosaur standee and upload your picture to Transcend PH FB to be eligible for a free coke (qty limited) and a chance to win a 16GB JetFlash drive on Transcend PH Facebook.